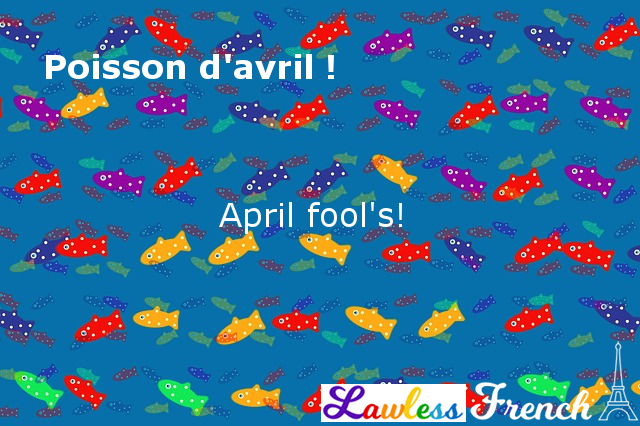 Usage notes: Poisson d’avril is the French equivalent of April fool’s. In France, the idea is for a kid to attach a paper fish to someone’s back without them noticing right away. Later, when the trick is discovered, the perpetrator gets to yell Poisson d’avril ! For adults, participation typically consists of jokes and humorous or shocking "news." The RATP (Paris métro operator) has demonstrated tremendous creativity and playfulness in recent years by playing with métro station names. In 2016, they temporarily renamed métro stations, such as Château de sable (Sand castle) for Château d’Eau (Water Tower). The following year, they added text to station names to create jeux de mots like Une Bastille pour la gorge (une pastille = lozenge). 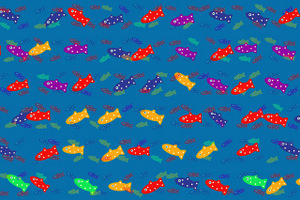 Poisson d’avril ! – April fool’s! I got you!